The Great White North is no stranger to natural disasters. From severe winter weather causing ice, sleet, and snow to potential flooding, commercial property owners are constantly kept on their toes when it comes to protecting their business. 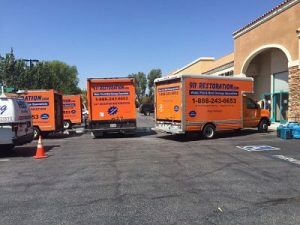 Time is critical when it comes to water damage, and this is why Ontario residents have come to rely on the rapid commercial restoration services of 911 Restoration. Armed with years of knowledge and state-of-the-art equipment, our experts have the tools and techniques to quickly transform and repair your apartment complex or office building to its pre-damaged condition. 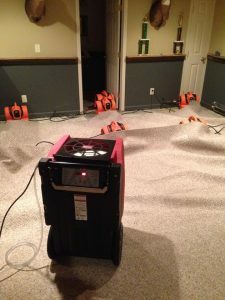 With capable dryers and blowers, in addition to competent skills intended to minimize the disruption of your company, 911 Restoration of Ontario provides you with quick, quality results that get you back in business. 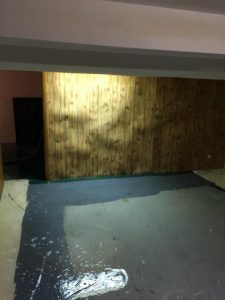 Water Damage Restoration – A basement leak or burst pipe can seem like no big deal, but the aftermath of water damage can take a massive toll on your commercial property. As certified pros, we understand that time is critical if you have liquid in your walls or ceiling. This is why we’ll be at your doorstep within 45 minutes of the initial phone call to mitigate the problem and alleviate your stress quickly. Speedy Drying – It’s imperative to get all components of your commercial property dry right away. This can save your building from further damage and keep your body out of harm’s way. We’re here to make your building safe again. Mold Removal – If left unattended to, motionless water can cause many complications. It can become a haven for mold and other bacterial growth, compromising the wellbeing of your building and your body. Our professional mold detection and decontamination services help to rid your commercial property of mold, as well as the foul odors and health risks that accompany it. Fire Damage Restoration – In addition to water damage restoration, 911 Restoration can handle smoke damage and smoke removal. If your building has experienced a fire, you need help immediately. This is why we’re available 24/7/365. Discoloration – Shortly after a fire, the effects of smoke damage can appear on your surfaces, ceiling, and walls, leaving stains and discoloration. Within just days, your walls and flooring may turn yellow. Odor – Some surfaces of your building may not show visible signs of fire damage, but they may contain a smoky odor. Getting rid of the smoke residue, also known as soot, can drastically reduce the smell. Interior Damage – Smoke can permeate through your walls and ceiling, causing damage to your home’s structure, wall studs, insulation, and air ducts. Electrical Damage – If your property’s wiring experiences fire damage, it can mean that its electrical system has been compromises, including outlet and breaker boxes.In order to avoid these issues, it’s vital to contact 911 Restoration right away. We’ll be at your location within 45 minutes and start the process of commercial restoration and repair right away. If you live in Ontario and own a commercial property that has suffered from a fire or flood disaster, you need to call 911 Restoration of Ontario as soon as possible. Not only are we here to fix your property, but our “fresh start” perspective and committed customer service skills can quiet your concern and ease your worry. We only want the best for our clients, and this is why we are passionate about offering amazing service with a smile. We will help you to get back on your feet as well as help show you the silver lining of the damage. Call us today and we’ll get to work right away. We look forward to helping you!